What’s Open and Closed on Martin Luther King Jr. Day 2019? The third Monday in January is Martin Luther King, Jr. Day. In 2019, the federal holiday falls on Monday, January 21. Like on many other federal holidays, figuring out what is and isn’t open can be challenging. While federal government offices, except those that directly relate to public safety and security, are usually closed, every other organization has the right to decide. Here’s what you should know if you’re wondering what’s closed on Martin Luther King, Jr. Day this year. Major retail stores are open on Monday, January 21. By and large, retail chains open on Martin Luther King, Jr. Day. Additionally, they tend to keep their usual store hours and may host special sales in recognition of the event. Smaller retailers may or may not open on Martin Luther King, Jr. Day. If you were hoping to support a small business on January 21, you might want to confirm they are open in advance of making the trip. Major grocery chain stores are open on Martin Luther King, Jr. Day. The vast majority of grocery stores open on this federal holiday. In most cases, they maintain their typical opening and closing hours too. Independent grocery stores may or may not open on Monday, January 21. Before you head to an independent grocer, call ahead to make sure they are open. Chain drug stores and pharmacies are open on January 21. Most major pharmacies and drug stores maintain their usual hours on Martin Luther King, Jr. Day. Independent drug stores and pharmacies may or may not open. If you need to go to an independent location, call ahead to confirm they are open, especially if you are hoping to pick up a prescription. Chain restaurants are open on Martin Luther King, Jr. Day. You shouldn’t have any trouble finding a place to grab a bite to eat on Monday, January 21, as the vast majority of restaurants will be open. Additionally, they commonly maintain their usual operating hours. In most cases, small, independent restaurants are open as well, as long as they usually open on Mondays. However, you may want to contact a local restaurant before heading over just to make sure. Gas stations and convenience stores are open on January 21. Travelers shouldn’t have any trouble getting gas or buying snacks while on the road on Martin Luther King, Jr. Day, as most locations will open according to their Monday business hours. However, service centers at gas stations may or may not be open. If you need an oil change or similar services, call ahead to confirm they are available. The New York Stock Exchange (NYSE) and NASDAQ close on Martin Luther King, Jr. Day. You will not be able to complete trades during the holiday. SIFMA, the bond market, also closes on January 21 for the holiday. Banks and Credit Unions are closed on Martin Luther King, Jr. Day. The vast majority of banks and credit unions will close for the holiday, along with most other financial institutions. Public libraries are closed on Monday, January 21. In most cases, you will not be able to check out books from your local library on Martin Luther King, Jr. Day. However, if you need to turn in a book, drop boxes outside of the buildings should be accessible if they are usually available at the location. Public and private K-12 schools are closed on Martin Luther King, Jr. Day. In most cases, schools will close on Monday, January 21, and resume their usual class schedules on Tuesday, January 22. Colleges and universities are closed on Monday, January 21. 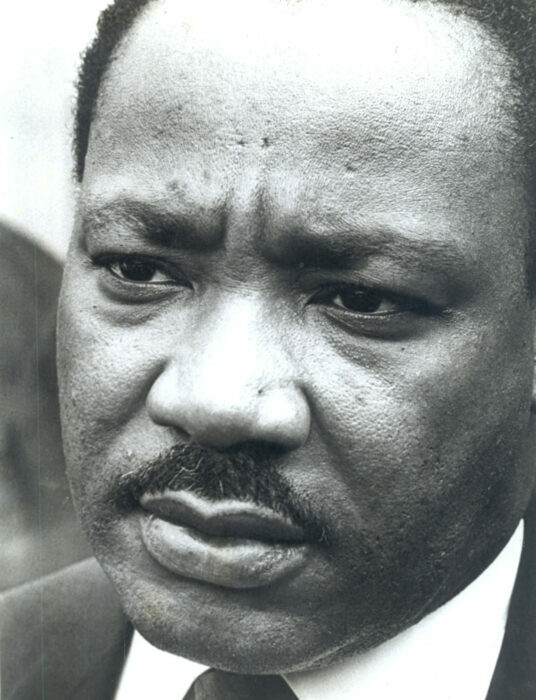 Classes will not be in session on Martin Luther King, Jr. Day. However, certain on-campus facilities, like cafeterias, may be available, though students should check in advance to confirm availability. National Parks are open on Monday, January 21. Although the federal government operates many national parks, they actually remain open on Martin Luther King, Jr. Day. Plus, you can actually get free entrance at over 100 parks on the holiday, giving you a fun way to celebrate the occasion and save some money on entertainment. Garbage services may or may not be rescheduled. Whether your usual trash pickup will run depends on your location. You may want to contact your service provider ahead of Martin Luther King, Jr. Day to confirm if your day has been changed. Similarly, local dumps may or may not be open. If you need to take items to a landfill, call ahead to confirm they are open on January 21. Federal government offices are closed on Martin Luther King, Jr. Day. As with all federal holidays, offices are mostly closed on Monday, January 21. However, essential personnel may still be working, particularly if their roles support public safety and security. State and local government offices are closed on Monday, January 21. Aside from public safety workers, state and local government agencies tend to close for Martin Luther King, Jr. Day. U.S. post offices are closed, but UPS and FedEx are open on Martin Luther King, Jr. Day. Since the federal government runs post offices, they will close on Monday, January 21 for the holiday. However, UPS and FedEx both operate on Martin Luther King, Jr. Day, so you can send packages and letters if you are open to using their services instead. Do you have plans for Martin Luther King, Jr. Day? Tell us about them in the comments below. What is Closed on Martin Luther King Jr Day? The third Monday in January has been designated as a federal holiday to honor Martin Luther King Jr. In 2018, this day falls on Monday, January 15. Like many other holidays that are recognized as “federal holidays” in the United States, it can be confusing as to what is open and what is not. This is because usually these holidays only apply to federal employees and not to everyone else in the country (necessarily). Private business, local and state governments and some other organizations are allowed to decide for themselves whether they will give their employees the day off. This leads to some confusion as to what is and what is closed on Martin Luther King Jr Day. Retail stores are open on Martin Luther King Jr. Day. All major retail stores will be open on January 15. In fact, many stores will be promoting sales to coincide with the event. Since there are large portions of consumers who have the day off, stores see the holiday as a way to increase store traffic and sales to begin the year off on the right foot. Grocery stores are open on Martin Luther King Jr. Day. Most grocery stores will be open for business for their regular Monday hours on January 15. If you frequent a small, independent grocery store, you will want to confirm if they are open before going just in case. Restaurants will be open on Martin Luther King Jr. Day. Most large chain restaurants will be open for business on Martin Luther King Jr. Day, so there should not be any issue finding a place to eat if you’re out and about for the holiday. Independent restaurants will in most cases be open if they are typically open on Mondays (many restaurants close on Monday as their day off during the week), but it’s best to call ahead to make sure. Gas stations are open on Martin Luther King Jr. Day. For those traveling, there should be no issue finding gas an open gas station. The service area of the stations may or may not be open, so if you need work done on your car, call to confirm. The stock markets are closed on Martin Luther King Jr. Day. The New York Stock Exchange and the NASDAQ composite both observe Martin Luther King Jr Day, and they’ll close for the day. There won’t be any stock trading on January 15. It’s one of the stock market holidays in 2018. Download a printable stock market holiday schedule. Public libraries are closed Martin Luther King Jr. Day. If you were hoping to check out some books, you won’t be able to do that on January 15, as they will be closed to observe the holiday. Most libraries are also closed on Sundays, so you need to make a trip on Saturday if you want reading material over the long weekend. Schools are closed on Martin Luther King Jr. Day. Both public and private schools will have the day off to observe the holiday. School classes will resume on Tuesday, January 16, in most cases. National Parks are open on Martin Luther King Jr. Day. Even though national parks are part of the government, they remain open on federal holidays like MLK Day. In fact, not only are they open, they offer free entrance on January 15. There are over 100 national parks which offer free entrance to celebrate the holiday. Garbage pickup may be rescheduled. If you usually have your garbage picked up on Monday, it may be changed to another day. This varies from town to town, and some will have served as usual on the 17th. It’s best to contact your local garbage company to confirm the schedule if you’re unsure. Government offices are closed Martin Luther King Jr. Day. As a federal holiday, all federal employees get the day off on January 15 with a few exceptions. Those federal workers who are considered essential, such as federal law enforcement and air traffic controllers, will still work, but the vast majority of government offices will be closed for the day. State and local government offices are closed on Martin Luther King Jr. Day. This is one of the holidays when most state and local governments follow the lead of the federal government and observe the day by giving their employees the day off. You can expect to find most state and local government offices closed for the day. Banks and credit unions are closed on Martin Luther King Jr. Day. Most banks, credit unions, and other financial institutions observe the holiday and close on Monday. There are a few exceptions, such as TD Bank, which will remain open, but most banks close for the day. The US post office is closed, but FedEx and UPS are open on MLK. Day. If you head to your local post office on January 15, it will be closed. You also won’t be getting any mail that day as the post office is part of the federal government and observes the holiday. Private mail carriers like FedEx and UPS will be open and operate as usual on Monday.